A “potential person” is precisely what it seems to be; a person who is not yet a person. 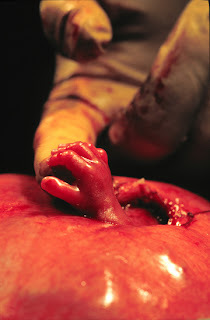 Some consider a fetus in the womb to be “not yet a person”; and so a “potential person”. On the one hand, the potential person argument seems to serve either side of the debate. Pro-choice says “Sure, abort that baby, it’s only a potential person”, while pro-lifers will say “Don’t abort that baby, it’s a potential person!” But of these two statements, the latter seems more coherent to me. We have that saying “Don’t count your chickens before they’ve hatched.” Why would we even need this warning? What would tempt a farmer to count his chickens before they’ve hatched? It’s the great value attached to chickens. Though we might say they’re only potential chickens, no farmer would go through his chicken coup smashing eggs on the ground. Rather, the farmer does all to protect the eggs themselves. Now, the potential person argument really begins with the fact that future generations are only potential people, and so demonstrates that a potential person does not have the same rights to life as an actual person, else we’d be culpable for any form of family planning at all. A future person is dependent upon whether a couple choose to conceive. The argument then extends this idea by saying that a fetus in the womb of its mother is still only a potential person because it is dependent upon the mother’s womb, and upon the mother choosing to allow that child the use of her womb. But this argument doesn’t really follow. A child outside of the womb, even up to its teenage years, is dependent upon its parents care. Should we say that it’s only a “potential adult” and so doesn’t have the same right to life and care that an adult has? But society demonstrates that it cares for the lives even of potential people. In the first instance, women who suffer a miscarriage are devastated by it because they understand it to be the loss of an actual child. Or we can consider that doctors have operated on infants with spina bifida in-utero. This is out of care for the life of another human being. And by establishing environmental conservation policies, for example, society even cares for the lives of future generations which haven’t yet been conceived. But while we mess about with semantics to try and differentiate between “potential” and “actual” persons, the real issue is that at the point of conception we undeniably have an actual human life. Shouldn’t we rather discuss whether all human life should be equally respected, rather than whether a potential person (however we define it) has the same rights as an actual person? When life itself is the issue, people often say that pro-lifers contradict themselves when they condone the death penalty for criminals. But in that case we have someone who is guilty of a terrible crime. A child in their mother’s womb is completely innocent! If anything, they should have more of right to life than anyone. Because, after all, guilt of sin is why there is any death at all. But a discussion of the death penalty is a topic for another day.